Israel chose her sin; the nation turned from God to worship the idols of the surrounding people. The consequence, of which they were warned many times, was the be conquered and subjugated to Assyria. The could not escape. The ones they had depended upon for help could not help them. Ethiopia had been their hope, and it fell to Assyria. Egypt had been the glory of escape, and it fell to Assyria. This isle refers to all of Palestine, which also came under the devastating invasion of Assyria. There are those in America today who are warning of the consequences of our having forsaken God. 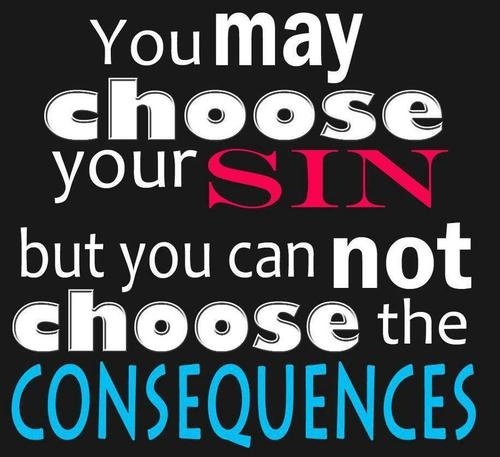 We will not get to choose the consequences for our sin. I wonder how many of us listen, but do not hear. The Assyrians were not known for their kindness. They were harsh masters, using shame and belittlement to intimidate their captives. Isaiah was a walking, talking object lesson of what was to come when Assyria swept down and conquered the land. We now go back to the imminent attack of Assyria on Judah. The six verses in this chapter are in Israel’s immediate future. 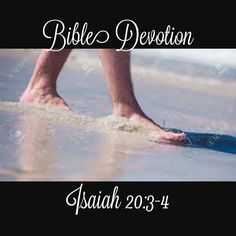 At the same time, God spoke to Isaiah, telling him to remove his clothing and his shoes. And Isaiah did it. He was to be a sign from God, a warning that would grab their attention, as he walked naked and barefoot as he spoke to the people. You can be sure he had their attention. I have wondered how hard it was for Isaiah to be obedient. It was a humiliating thing that God asked of him. It seems, though, that he didn’t hesitate to obey. 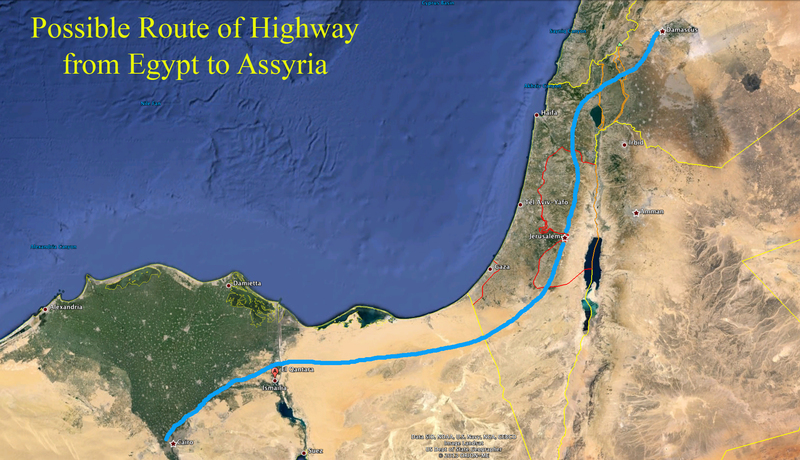 Considering the antipathy of these three nations down through history, this is an amazing prophecy, During the Millenial Reign of Jesus Christ, there will be a highway that unites these nations, with Israel in the middle being a blessing to both Egypt and Assyria. They will trade and work together, the land will be blessed, and all will be converted to belief in God. I was at a birthday party last night with some good friends. I got to reminiscing with a dear friend who is close to my age. We were talking about how long it used to take us to get ready for church on a Sunday morning. Mostly it was all about hair. We’re talking about the early 1970’s. Hair was getting bigger, taking us toward the 80s when there was more hair than you could imagine. Today, people would do this for a Halloween party 🙂 Everyone had a perm, because lots of curl and lots of body were very important. It used to take a lot more time back then. We tortured our hair with teasing, perms, hot rollers, and gallons of hairspray. To be on time for church, you had to give yourself about two hours of lead time. If there were also little kids to feed and dress, you needed even more. So we were talking about how thankful we are for today’s simpler, low-maintenance styles. All it takes today is a good cut, some practice with a blow-dryer and a round brush, and you’re done. If you’re fortunate enough to have some natural wave or curl, all you need after you shampoo is some mousse or other styling product. Put it in, let it dry, comb it out, and you’re out the door. So I was thinking about all this; how styles change over time. Once we thought that big, big hair was the only way to look good. Now we look back and wondered how we ever thought it was attractive. As my friend and I chatted and laughed, I was watching her face. Here is something that has never changed in the 40+ years we’ve known each other–her kindness, her faithfulness, her thoughtfulness. The years have left their mark on both of us, but our friendship remains unchanged. She and her husband, who is facing some very serious health issues, have remained our friends through all the changes those years have brought. They’re part of our family. Friends like that, no matter how other things may change, are a treasure. A gift from God. There are many who see God only through the lenses of His justice and vengeance. They ignore the part about His healing, once a person, a group, or a nation has repented of their sin and turned to Him. He was just as merciful in the Old Testament as He is in the New Testament; God is not the problem. SIN is the problem! Feeling free to sin because, you know, God forgives, is just foolish and short-sighted. If I were a preacher, I’d be hammering this one home. We sin; God judges; we repent; God heals and forgives. OR–we sin, God judges; we get bitter and turn from Him; He allows judgment to continue. It’s our choice. I see so many people in my work who believe that God is to blame for every difficulty in life. Exactly the opposite is true. We choose sin, and we pay the consequence. Remember the old law of physics: For every action, there is an equal and opposite reaction. The same is true of our relationship with God, except that He is more merciful than we deserve. “In that day” is the immediate fall of Egypt as well as its future fall when Christ returns. Judah will become the instrument of judgment. The attitude of Egypt toward Israel would be changed, even to the extent of five Egyptian cities adopting Hebrew, the language of Israel, as its common tongue. This particular prophecy could be considered to have been fulfilled when Alexander the Great conquered Egypt, and Hellenistic Greek became the common tongue in Canaan and elsewhere and was adopted in Egypt (where the Septuagint Version was produced. In verse 18, the “city of destruction” or literally Ir-ha-heres, could indicate the destruction of idolatry. That destruction took place after the successive invasions of the Assyrians, Chaldeans, Persians, and Greeks. 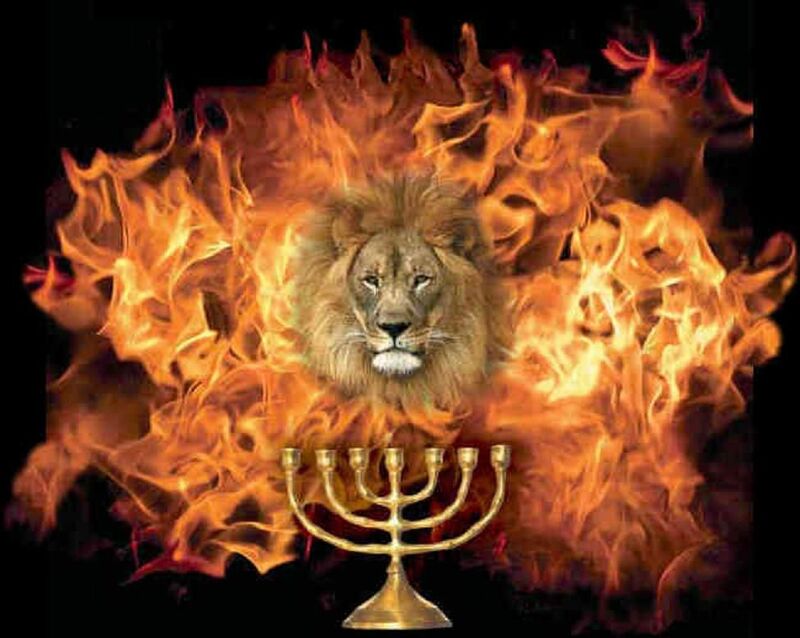 In that day also brings us to the coming of the second advent of Christ, when the land of Judah becomes the center of world government and is a terror to those who resist it.